Original Thunder Stix distributes USA made promotional thundersticks and noisemakers. 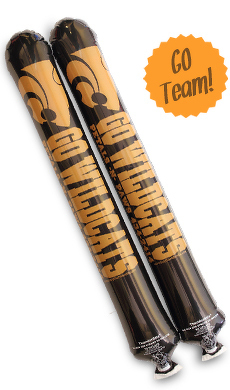 Imprint your favorite sports team's logo or high school's logo on these thunder sticks and make some noise. Thunderstix also make great promotional products.